Habitat - Dry sandy woods, savannahs. 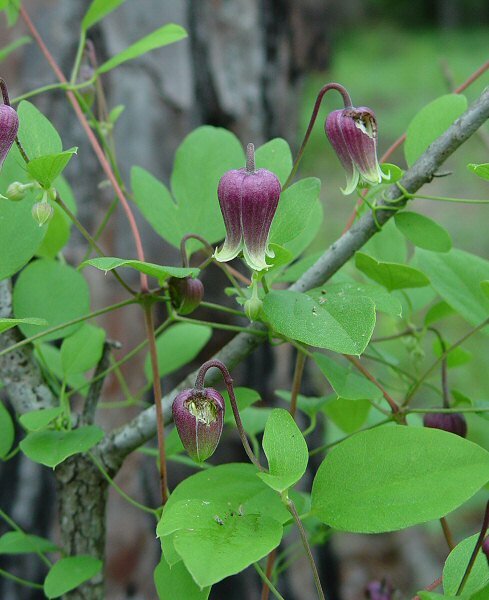 Other information - This striking plant can be found mainly in southeastern Alabama. 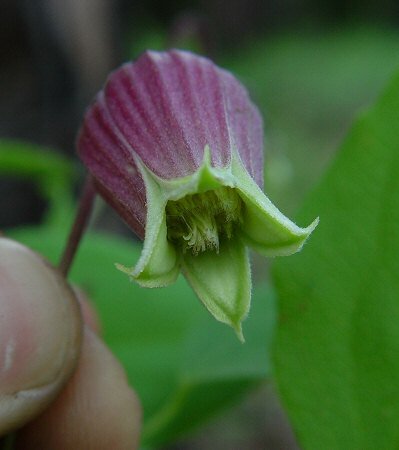 The plant can be identified by its angled, vining stems, rounded leaflets, and purple flowers. 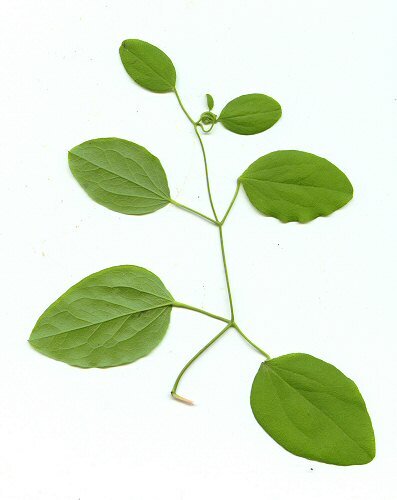 The leaflets of the leaves are thick and have reticulate venation. 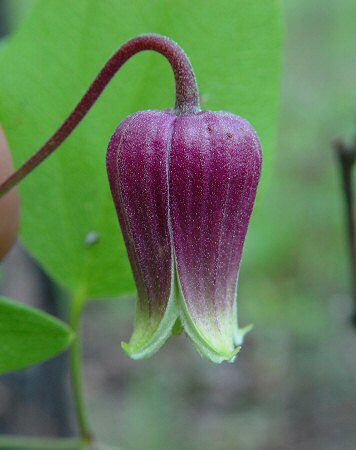 The genus name Clematis derives from the Greek "clem(a)(tis)" meaning "a twig, vine cutting" and was a name used by Dioscorides to describe a climbing plant with long, thin branches. 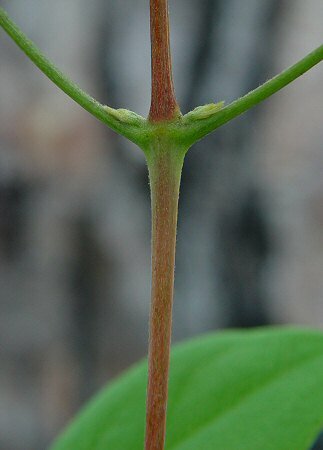 The species epithet reticulata derives from the Latin "reticul" meaning "a network" and describes the net-like venation of the leaflets. Photographs taken at Fort Benning, GA., 6-6-05.